Regarded as one of the oldest brush making methods, our handy twisted brushes are as invaluable today as they have ever been. Used extensively in automotive, domestic, industrial, medical applications, twisted wire brushes will clean, finish, filter and guard components and property. 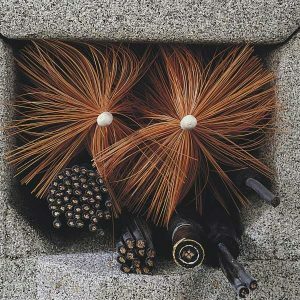 Suitable for use in power tools, by hand for cleaning and finishing or simply placed as filter and barrier, we provide twisted brush solutions in all sizes, materials and configurations. 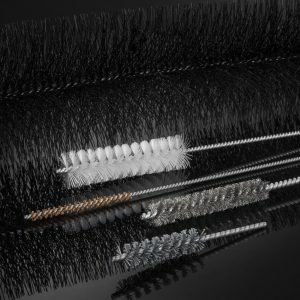 Versatile Twisted Wire brushes perfect for cleaning and finishing interior bores, pipes, tubes and bottles. Custom made to your requirement. Tried, tested and extremely effective, Rodent Brush protects vital track side cabling from inquisitive and gnawing rodents. 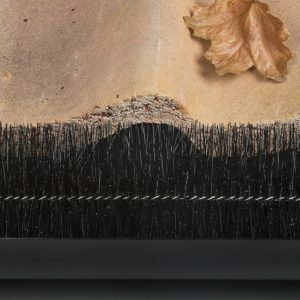 Superseal Gutter Brush helps prevent the overflow of rain water by protect gutters being blocked by leaves, twigs, birds and rodents.